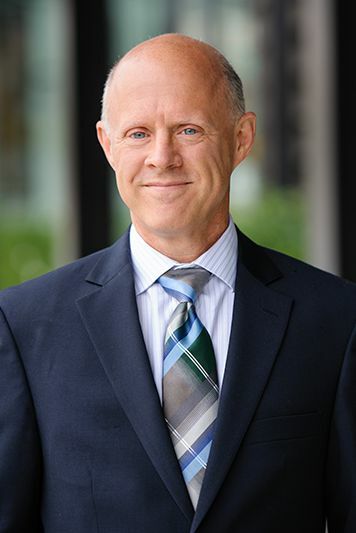 A long-time resident of the Pacific Northwest, Attorney David Small is a principal in Small Snell Weiss & Comfort and has been with the firm since receiving his J.D. in 1992. David energetically represents the rights of injured workers and, in addition to workers’ compensation benefits, represents clients who have been wrongly denied disability benefits by the United States Social Security Administration. David brings a broad background of life experiences and educational pursuits to his law practice. Prior to his legal career, he was a highly regarded educator, teaching in both the U.S. and Canada. David received a B.S. in music and education from U.P.S. in 1977, and spent two additional years in full-time graduate studies at the University of Washington, studying choral conducting, Renaissance music, and research musicology. David now educates attorneys, physicians, and others on a variety of medical and legal subjects, including workers’ compensation law. He also has served on numerous committees for legal organizations and associations, both local and statewide. A workplace injury can be devastating–not only for the injured worker, but also for the worker’s family. I help workers during the low ebbs of their careers; usually when there is uncertainty and financial concern about their future. My goal is to immediately assist injured workers so they can keep their families financially intact during these very difficult times. I know what clients are fighting for. In the litigation arena, I help clients by explaining the legal process and by anticipating tactics likely to be used by the opposition to minimize benefits. I work to ensure that clients receive all medical treatment and vocational assistance the law allows. When clients cannot return to their previous occupation, my focus is on getting them real job training so they can transition effectively to the next stage of their careers. When clients are unable to work, they are entitled to disability benefits from the Social Security Administration; however, this administration typically makes it very difficult (and time consuming) to receive appropriate benefits. As an experienced Washington social security disability benefits lawyer, I represent clients in advancing their case and seeking, when possible, to reduce the time required for a proper benefits determination by anticipating and providing the necessary documentation required. David and his wife Amy have four adult children, all of whom live in the Puget Sound region. David enjoys a broad spectrum of interests and pursuits, including running, camping, skiing, sports of all kinds, many church-related activities, and, more recently, grandparenting.